Would be grateful if anyone could help me identity the ribbons that this officer is wearing. I'm no expert but it appears he's been a cop since at least 1992 and has some military service in there to, am curious to know why he doesn't have the police service ribbon or detective service ribbon despite this? Any suggestions? So, this LAPD officer has a lot of time in the US Marine Corps Reserve, with multiple deployments; based on the MSG Ribbon, he likely had active duty time as well. I am not familiar with police department decorations; however, the LAPD website lists only a "Reserve Service Ribbon" for 4000 hours as a reserve officer. I am guessing that our fellow is a reserve Marine, but a regular duty police offer; thus no police service ribbon. I wonder if he can wear his LAPD decorations on his USMC uniform. Thanks Irish, interesting stuff. These are the ribbons I was referring to. would be interesting to know as you say if he can wear his police ribbons on his marine uniform. Wasps, what is the source of your image? 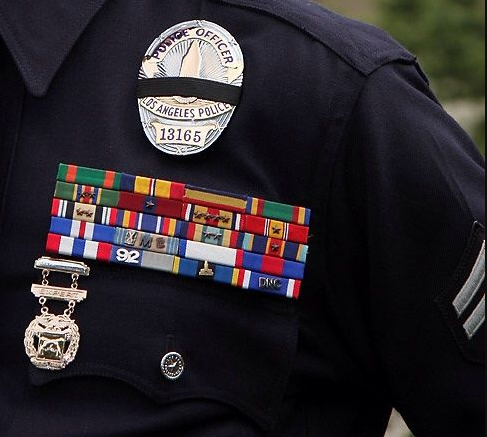 Curious that those those service ribbons do not appear on the LAPD's own site. 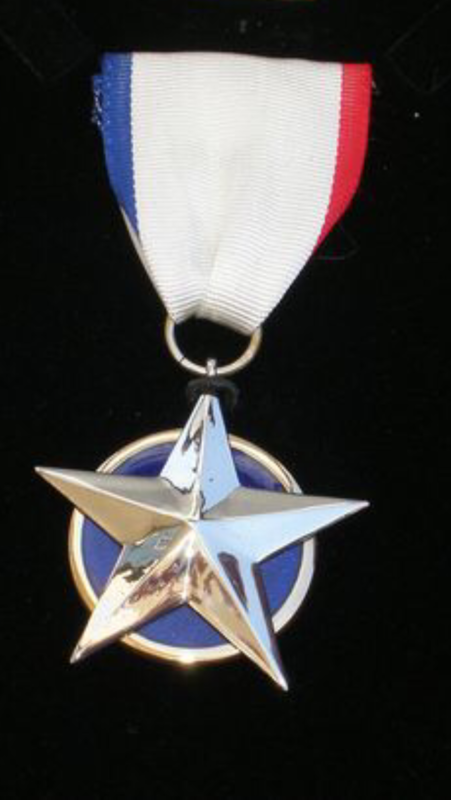 This is a nice looking medal. Based on the military silver star I suspect?